Unfortunately this product cannot be shipped to Canada. US orders only. 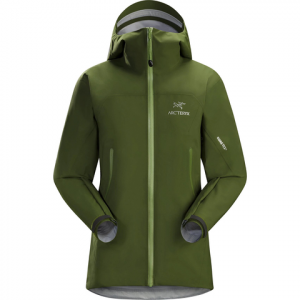 Arc'teryx A2B Tank - Women'..
Arc'teryx Atom LT Hoody - ..
Arc'teryx Beta AR Jacket - ..
Arc'teryx Beta SL Hybrid Ja..
Arc'teryx Beta SL Jacket - ..
Arc'teryx Codetta Coat - Wo..
Arc'teryx Delta LT Zip Neck..
Arc'teryx Lyra Short - Wome..
Arc'teryx Parapet Shorts - ..
Arc'teryx Phase AR Bottom -..
Arc'teryx Phase AR Crew L/S..
Arc'teryx Phase AR Zip Neck..
Arc'teryx Rho AR Zip Neck J..
Arc'teryx Rho LT Bottom - W..
Arc'teryx Rho LT Zip Neck -..
Arc'teryx Satoro AR Bottom ..
Arc'teryx Satoro AR Crew L/..
Arc'teryx Satoro AR Zip Nec..
Arc'teryx Spadina Pant - Wo..
Arc'teryx Thorium AR Hoody ..
Arcteryx Covert Cardigan - ..
Arcteryx Rho AR Bottom - Wo..
Arcteryx Sentinel Pants - W..
Arcteryx Shashka Jacket - W..
Arc'teryx Women's A2B Tank ..
Arc'teryx Atom LT Jacket - ..
Arc'teryx Atom LT Vest - Wo..
Arc'teryx Axina Knicker - W..
Arc'Teryx Ravenna Jacket - ..
Arc'teryx Rho AR Bottom - W..
Arc'Teryx Shashka Jacket - ..
Arcteryx Atom LT Hoody Jack..
Arcteryx Cerium LT Vest - W..
Arcteryx Covert Hoody - Wom..
Arcteryx Delta LT Zip Neck ..
Arcteryx Kyanite Hoody - Wo..
Arcteryx RHO AR Zip Neck - ..